GLOUCESTER, UK - DECEMBER 04: unidentified woman leaving Greggs bakery shop on December 04, 2011 in Gloucester, UK. Founded in 1939, Greggs is the largest bakery chain in the UK with 1,671 outlets. Greggs shares (LON:GRG) rose more than 13% on Tuesday after the company reported a rise in sales. The bakery chain reported a 9% rise in sales across its 1,900 stores, in the eight weeks to November 24. Greggs also noted like-for-like sales up 4.5% for the period, proving ahead of expectations. Moreover, the company added that operational costs have been “well controlled”. As a result, the bakery company said it expects 2018 full year profits, before tax, to be at least £86 million. This marks an improvement following a “challenging’ March and April for the group. 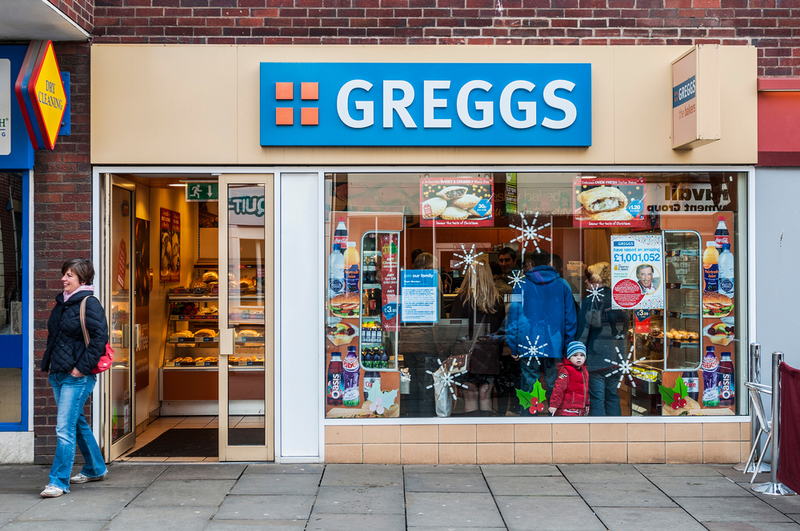 Greggs shares fell more than 19% back in May, after the company suffered a decline in footfall as a result unseasonably colder weather brought about by “the Beast of the East”. Shares in the bakery chain are currently +13.42% as of 13:41PM (GMT). Elsewhere in the markets, Pets at Home shares (LON:PETS) fell after the company reported an 80% fall in profits. Meanwhile, shares in holiday provider Thomas Cook plunged 30% on the back of its second profit warning in two months. Thomas Cook (LON:TCG) warned on Tuesday that it expects profits to be £30 million lower than previously anticipated.